We have been running some German and Spanish sessions at a local infant school, introducing Year 1 pupils to modern foreign language learning. As well as hello a nd goodbye songs we decided to link in with their current topic which is ‘mini-beasts’. 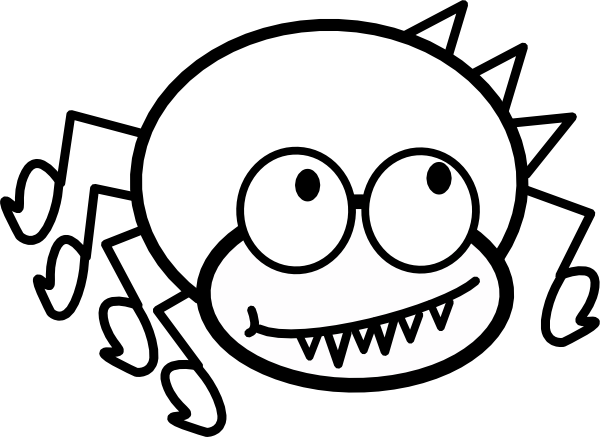 The vocabulary for various creepy crawlies in German, French and Spanish can be found here. Choose 6 mini-beasts and create picture flashcards (we used fun cartoon versions, but more realistic images would also be good). Introduce the vocabulary for each of the pictures whilst signing the word. Encourage the children to copy your signs or to make up their own movements, as using gestures helps children remember vocabulary. If you are stuck for inspiration, you could use the signs for the language you are teaching. Signs in many different languages (including British English, German, French and Spanish) are available here. When introducing the vocabulary for the mini-beasts, hold up a card with the target language vocabulary for each creature, so that the children can see how these new words are spelt. (The Year 1 teachers were keen on introducing elements of literacy as well as oracy into the language sessions). Interesting features can also be pointed out, for example accents, or how to say ‘die’ in German (as opposed to how it is pronounced in English). One way of learning vocabulary is to point out some of the literal meanings of words. For example, slug in German is die Nacktschnecke, which literally translates as ‘naked snail’. In French, a grasshopper is une sauterelle and the verb sauter means ‘to jump’; and similiarly in Spanish it is called un saltamontes, where the verb saltar means ‘to jump’. Make enough flashcards for the whole class, as well as yourself, (multiple copies of the 6 mini-beasts) and distribute at random amongst the children. Hold up a flashcard and then ask those children also holding that card to stand up/wave/wriggle about like the mini-beast. Second time round, just say the word (no flashcard), using sign language to prompt the children if necessary. This activity could also be used reinforce the vocabulary for ‘stand up’ and ‘sit down’ (getting the children used to responding to those commands). Introduce numbers and counting by looking at pictures of the following mini-beasts and seeing how many legs they have: snail, ant, spider, woodlouse, caterpillar, centipede, millipede! Sections of The Very Hungry Caterpillar can be read out in the target language. This is a useful activity in and of itself, so that the children can listen to long passages read in the second language and enjoy the rhythm and intonation. It is a familiar book with great illustrations so the children can infer meaning from context. An alternative activity is to ask pupils to listen out for certain words (e.g. die Raupe/la chenille/la oruga) and put up a hand when they hear it. This book is of course also useful for teaching numbers, food and days of the week. Here is a video of the author, Eric Carle, reading this book in German, his mother-tongue. In French, this story is called ‘La chenille que fait des trous’ and in Spanish ‘La oruga muy hambrienta’. I hope you find these suggestions useful and let me know if you have any comments! Lovely ideas for introducing language learning to small children. Fun and easy to do. I especially like the idea of Incy-Wincy in other languages. Thanks. Thank you Reena! I’ll keep posting more ideas as we do them at school.